Over the summer of 2014 we had an enforced absence from Coastal Walking. Quite what my wife did to her back this time I do not know, but after two months and two weeks we were ready to get going again. Were we pleased about that? Yes we were! Deb would have been jumping for joy too if her back had allowed her to. You just have to trust me on that. 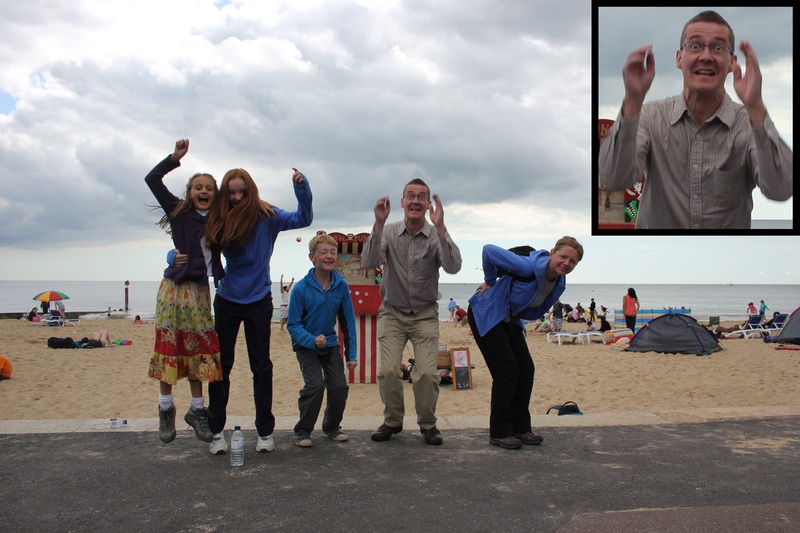 People were giving us strange looks as we performed for the camera, I noticed, but I simply didn’t care. I was really looking forward to getting back on the trail. And anticipation is everything, as you can see from my face in the next photo! 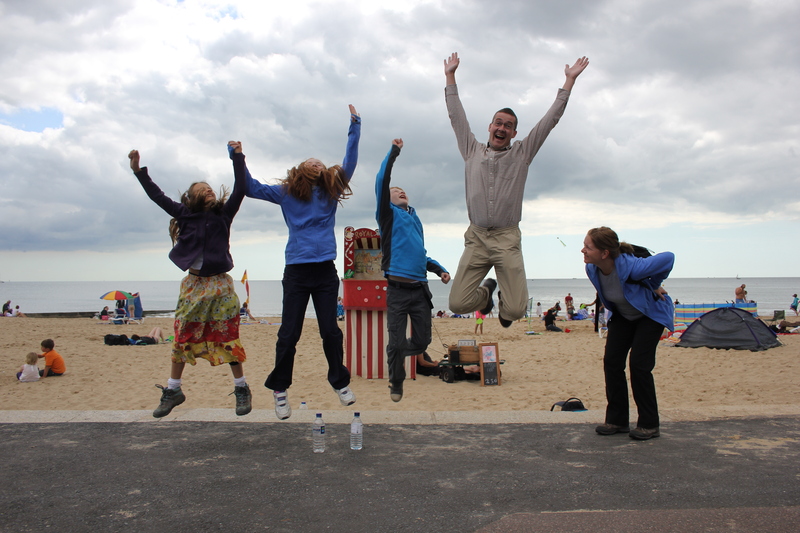 This entry was posted in Dorset and tagged anticipation, Bournemouth, coast, Dorset, happines, joy, jumping, travel, walking. Bookmark the permalink. Looking forward to reading about more of your coastal walks. It gets a big tougher soon though, but it’s worth it for the scenery. Hehe! Business is still a bit sporadic I’m afraid, as we are now walking in places we can’t get to and do in a day. Overnights are now required and of course in term time that is difficult what with homework etc. So coastal walking is now a holiday pastime, although we do 2-3 days at a time which certainly blows the cobwebs away!